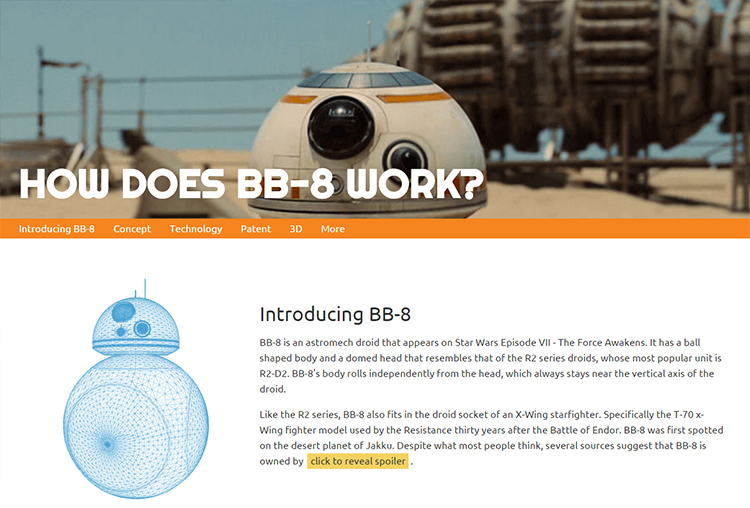 HowBB8Works.com is a website created by two Star Wars fans from Spain, product designer Carlos Sánchez and CG artist Emilio “EGPJET3D” Gelardo, who have collected facts, made educated guesses, and created handy visuals to explain how the awesome BB-8 droid from Star Wars: The Force Awakens works. Inspired by the Droid Mechanics Lee Towersey and Oliver Steeples, we wanted to build our own astromech and learn about it in the process. Only that we come from the software side of things. Director J.J. Abrams went old school during production of The Force Awakens. The original trilogy, which mainly used real sets and props, had a special vibe that was missing in the prequel trilogy. Abrams wanted Episode VII to feel organic and tactile, closer in spirit to the original movies. To achieve that, they used as many practical effects as possible, and BB-8 was no exception. 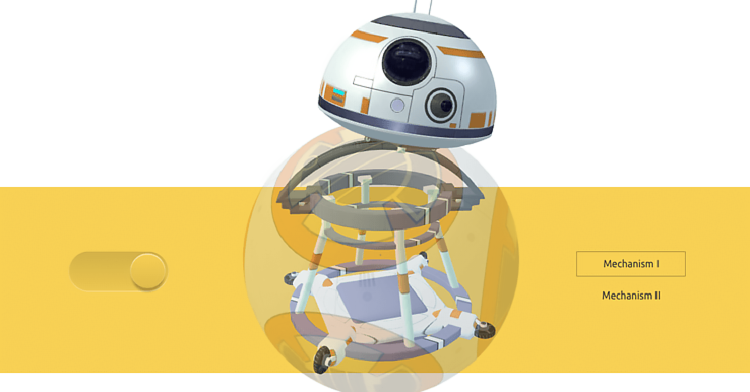 images via How Does BB-8 Work?